GOHFER® is a multi-disciplinary, integrated geomechanical fracture simulator that incorporates all the tools necessary for conventional and unconventional well completion design, analysis and optimization. GOHFER, which stands for Grid Oriented Hydraulic Fracture Extension Replicator, is a planar 3-D geometry fracture simulator with a fully coupled fluid/solid transport simulator. GOHFER has been continually developed and refined by Dr. Robert D. Barree & Barree & Associates LLC for almost 40 years. GOHFER 3D is the #1 preferred fracture simulator in the industry by greater than a 2:1 margin! GOHFER 3D is leading the industry into the future with the most current research and technology while challenging outdated philosophies and paradigms giving you more confidence and predictability in your completion strategy. GOHFER’s formulation has been used extensively and successfully in all regions globally in all types of reservoirs and does not require a special module for individual environments. GOHFER’s timely technical support and comprehensive software documentation is unparalleled in the industry. GOHFER is separated into 5 modules that may be purchased or leased independently which allows you to customize your GOHFER package to your needs. Select a module below to learn more. Petrophysical Analysis - Comprehensive petrophysical analysis package with built-in synthetic correlations for mechanical rock properties and gas identification. QC or replace poor or absent sonic data and ability to incorporate core data. Fracture Simulation & Production – Finite difference gridded solution assuming shear/slip fracture geometry (not linear elastic). Vertical and horizontal anisotropy, spatially variable leakoff and limited entry design/multiple simultaneous fracture initiation sites. Handles impact of secondary fracture systems on fluid leakoff/proppant transport and geometry. 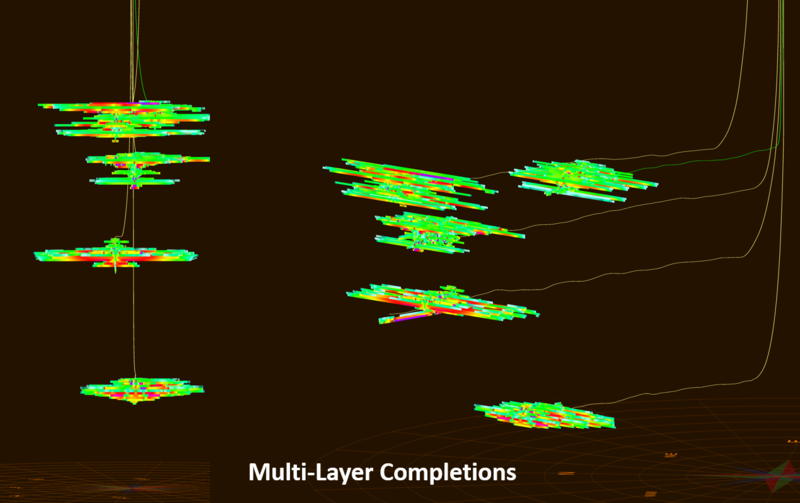 3D Complex horizontal fracture modeling - longitudinal and transverse components. 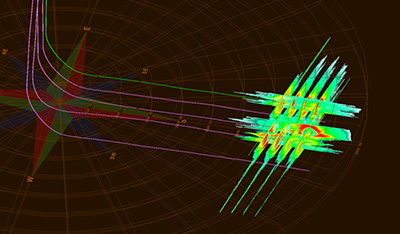 Variable inter/intra-stage fracture stress shadow interference factor. Multi-stage/multi-cluster modeling capability for plug & perf or ball drop simulations. 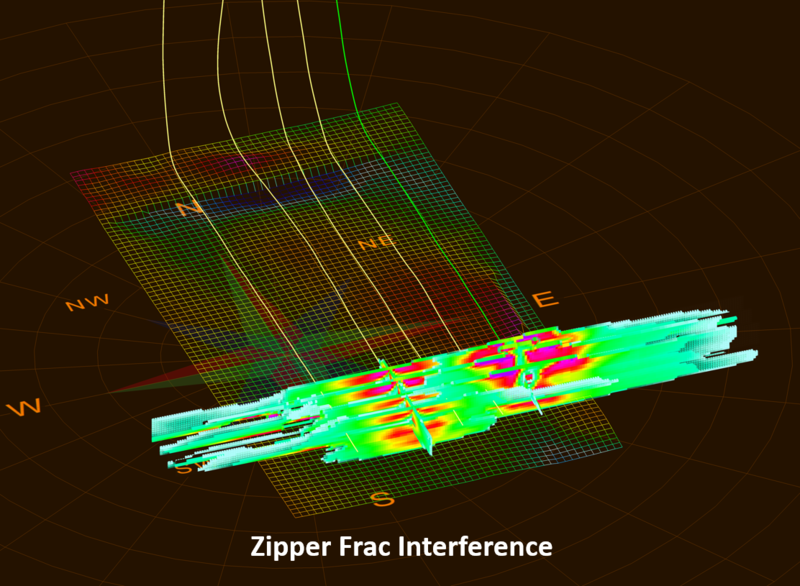 Fracture orientation determined by stress azimuth, independent of well direction. GOHFER Production handles cleanup, multiphase non-Darcy flow and stress (proppant crushing) based on 30 years of Stimlab Inc. research. Handles production interference of multiple transverse fractures and allows for optimization of fracture spacing in unconventional reservoir development. Pressure Diagnostics - Complete pressure diagnostic analysis package including step rate and blowdown analysis; fracture closure analysis and determination and effects of primary leakoff mechanism; after closure analysis for pore pressure and permeability. Also includes a permeability estimation from G function analysis. Production Analysis - Uses actual production data to analyze post-frac performance and assess stimulation effectiveness. Includes rate transient type-curve analysis, decline curve analysis, production forecasting to ultimate recovery, and flow regime identification. 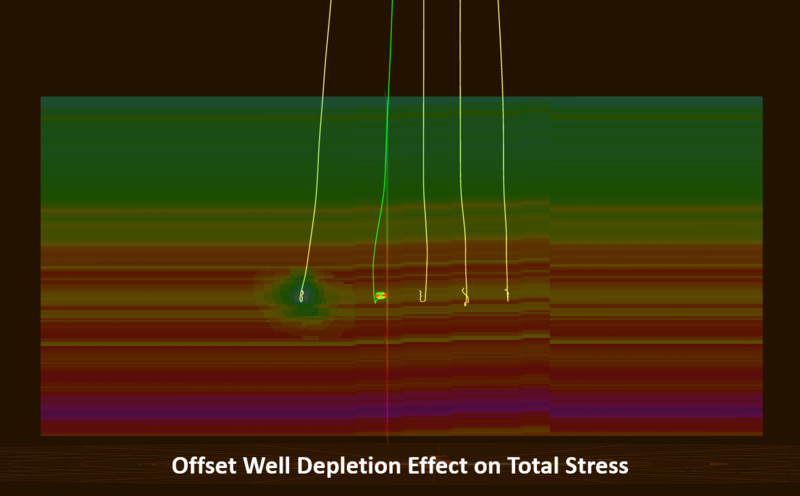 Determines fracture spacing and effective well spacing for horizontal wells, along with the fraction of the lateral producing. Real-Time - Direct importation of streaming or internet real time data with real time pressure diagnostic analysis, fracture simulation and calculated bottomhole pressure.